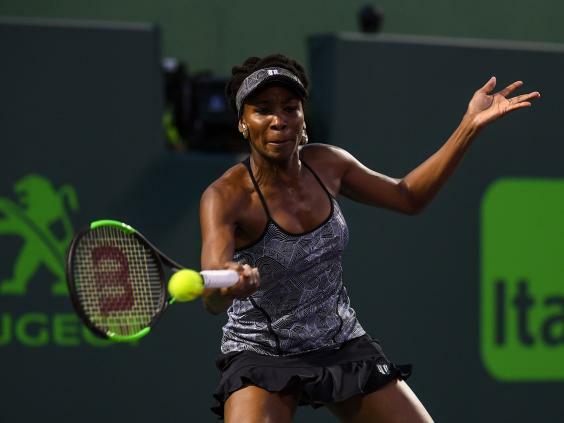 Venus Williams continues to roll back the years as she swatted aside world number one Angelique Kerber to move into the Miami Open semi-finals. The 36-year-old, who reached the final of the Australian Open in January, put on a scintillating display full of powerful groundstrokes to beat Kerber 7-5, 6-3 and set up a meeting with Britain’s Johanna Konta. 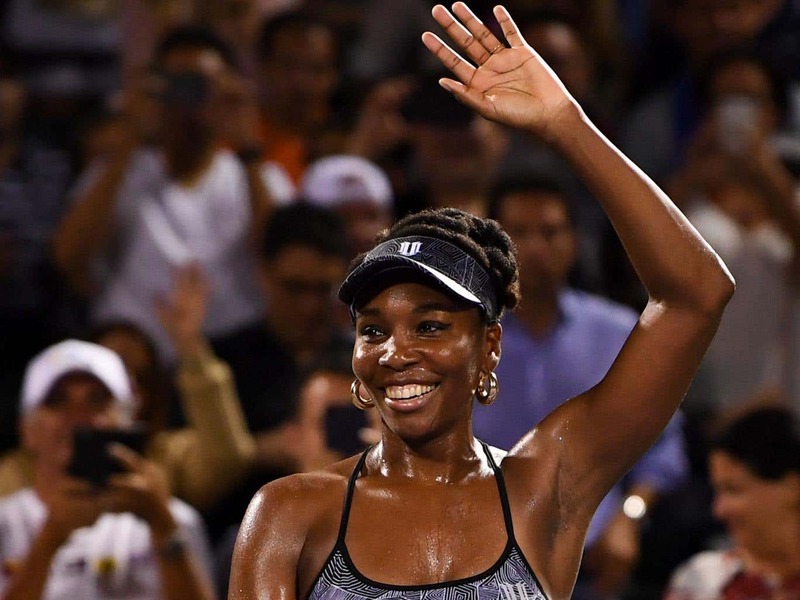 She first won this tournament a staggering 19 years ago and on this evidence looks a strong bet to add a third title to her collection, the last of which came back in 2001. After two exchanges of breaks in the first six games, Williams made her move at 6-5 and took Kerber’s serve again to win the first set. The German opened the second set strongly, but Williams then reeled off four successive games to take a firm grip before eventually converting a fifth match point. Williams said during her court-side interview: “I play my best when I am aggressive. Her next opponent Konta did not let her mind wander to the past as she became the first British women to make the semi-finals of this event. Konta produced a gritty 3-6, 7-6 (9/7), 6-2 win over third seed Simona Halep to reach her third semi-final of 2017, though she was staring defeat in the face with Halep serving for the match at 5-4 in the second set. But a resilient British number one broke after being two points away from defeat, then won an epic tiebreak to level at 1-1 before running away with the deciding set. It was not the first time Halep has capitulated against Konta with the finishing line in sight, as in their only previous meeting in Wuhan two years ago the Romanian inexplicably lost despite being 5-1 up in the final set. That did not come into Konta’s thinking, though, but she went on to win anyway. “At that point I didn’t feel there was too much momentum on her end, although she was serving for the match at 5-4 I still felt that I was very much in it and there wasn’t too much separating us in that second set,” Konta told BT Sport 1.